Whatever you wish to accomplish in life, there are three fundamental steps you’ll have to take to get there. At the onset of your Optifast weight loss program you and your weight loss doctor will make a realistic goal that you can work towards. The nice thing about the OPTIFAST program is that it encourages weight loss at a faster rate than you may lose weight on your own or through a non-medical diet plan. Most Optifast plans last about 18 weeks, including an active phase of rapid weight loss followed by at least six weeks of transition, and then maintenance. While the 18 weeks may fly by fast, this is a long time to move forward without stopping and evaluating your progress along the way. Scheduling regular appointments with your doctor can ensure that you are moving in the right direction, and will give your weight loss specialist a chance to make any changes to your weight loss program to keep your health optimal. But even at home there are ways you can track your progress and monitor how well you are doing. 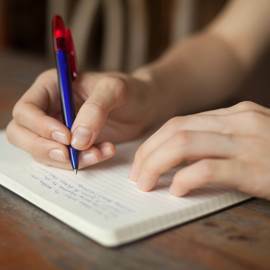 Keeping a journal is shown to be one of the most effective habits one can develop when trying to lose weight. Writing down details like the foods you eat, your exercise habits and other details about your day can increase your personal accountability and help you stay on track towards reaching your weight loss goals. Get a small notebook that you can keep near you at all times. Consider using a smartphone application like “Lose It” to log your food and exercise. Log details about how you feel as well as what you eat. Make entries in your weight loss journal as often as you feel comfortable. The bathroom scale is one of the most widely used tools for measuring weight loss. While weighing yourself can give you a clear understanding of how you are progressing towards your weight loss goal, this shouldn’t be the only method of monitoring that you turn to. It is up to you to be accountable to yourself and follow your plan. The best way to know if you are working in the right direction is to monitor your success along the way.